Press RoomWe firmly hold the aim to be the best digital media company in the world. And we also need your valued suggestions to guide our efforts. Digiarty Software spooned up the free licensed WinX DVD Copy Pro as a pre-Halloween gift to users of the popular website Giveaway of the Day on October 23 only. As a continuation, it invites internet users worldwide to get on board with the official Halloween giveaway from today to the 6th, November. Digiarty Software today kicks off Autumn Promotion, providing up to 60% off discount on DVD video software, including top-notch DVD ripping and backup software for Mac. It is the first super promotion since the Mac DVD ripper being upgraded to support new Apple and Android devices. First-rank DVD ripping software for both Windows (10) and Mac OS X. Bypass all copy protections. Convert DVDs to MP4, H.264, iPhone, iPad and Android. No.1 fast (HD) video converting solution that supports Intel QSV and Nvidia NVENC tech, 16x faster. Features also include online video downloading and creating photo slideshows. Nine enhanced DVD copy modes help back up DVDs, even the newly released ones or those with bad sectors, in the shortest time without any quality loss. Digiarty Software is excited to announce WinX HD Video Converter Deluxe 5.6.2, an important update to the video compression and converting solution for all the new Apple, Samsung and Sony mobile devices. It simplifies and automates the conversion of 4K UHD, multi-track HD, and camcorder videos on computers for the target iPhone 6S/Plus, iPad Pro, iPad mini 4, Apple TV 4 and so on. Digiarty Software runs cover-all software giveaways by uniting successfully with eight world-known PC software developers for data backup, disk management and so on. The must-have programs for a new Windows desktop or notebook will be offered by turns without any charge, lasting until the end of August. Digiarty Software launches its first-ever video making contest on the theme "Create Video for Digiarty – Win Cash", which opens to all applicants with basic video producing skills. 10 finalists will be picked out and rewarded with cash in this win-win campaign that is valid from July 1st to July 31st 2015. Digiarty Software is giving away a free 8K video converter that is also an online UHD video downloader by hosting its first Mid-year Promo that will last until June 30, 2015. Giveaway of the Day is scheduled to give out WinX HD Video Converter Deluxe 5.6.0, a full-fledged and all-in-one HD video converter newly updated by Digiarty Software with a built-in online video downloader for Windows XP/7/8 and to-be Windows 10 users, as the one day free gift on June 6. But on video converter giveaway page, it will last until June 12. 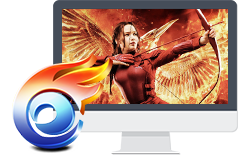 Digiarty Software announces today that major upgrades to support free downloading videos music from over 300 video sites finally come to the well-received WinX HD Video Converter Deluxe v5.6.0 and its Mac edition. That's easily the biggest update of this Digiarty product in 2015. Digiarty Software updates WinX YouTube Downloader to 4.0.0 by adding new supports for downloading videos from DailyMotion, Facebook, Vimeo, Vevo, Vine, MTV and more. It becomes an all-in-one online video downloader that accepts 4K and 3D videos. Digiarty Software, Inc. blazes a trail for celebrating Mother's Day digitally and paves the way by offering its best-in-class DVD video software at 50% off and a Holiday Video Pack with up to 75% off as a Mother's Day gift in 2015, valid until May 12. Digiarty Software announces ultimate solution to convert videos on Windows 10, boosting WinX HD Video Converter Deluxe to transfer SD/HD/4K videos to MP4, AVI, WMV, MOV, FLAC and other video/audio formats on this most-concerned new generation of Microsoft Windows OS. Digiarty Software unveils a triumph of 1:1 copying DVDs on Windows 10 believed to be released soon by Microsoft, via its top-notch DVD backup software. Explicatively, the revamped WinX DVD Copy Pro is available to clone DVD to DVD, ISO image, DVD folder, and copy DVD main title/chapter on the upcoming new Windows OS. Digiarty has nailed down an up to 60% off Easter coupon deals of WinX DVD Ripper Platinum and WinX HD Video Converter Deluxe. By joining hands with DealNews, the company is to offer the top-of-the-line DVD video programs to all members in the online deals site from April 4 to 5, 2015. Digiarty Software, Inc. announces 2015 Super Commission Campaign for its registered affiliates in Avangate (now renamed to 2Checkout) network. The commission of its top seller WinX DVD Ripper Platinum is increased to 60% or higher to help affiliates make more money online. Digiarty Software Inc. sets sail for 2015 Spring Super Promo today. It is the first whopping sale this year, featuring the lowest priced full-function DVD backup programs for PC and Mac, including the 50% off discount of world-renowned WinX DVD Ripper Platinum. WinXDVD Software updates its best-selling DVD ripper to feature strong support for much anticipated Microsoft Windows 10. WinX DVD Ripper Platinum is said to be fully compatible with new Windows OS to rip DVD disc to AVI, MP4, MPEG, WMV, MOV, etc. Digiarty Software Inc. announces its blogger giveaway campaign that is also geared to global forum moderators, web editors, Facebook/Twitter/YouTube channel owners and free-lancers. In return, every participant will be rewarded with 5-50 license keys of WinX HD Video Converter Deluxe. Digiarty Software Inc. today announces the year-to-date uptick in ordering the 75% off 2014 Christmas Gift Pack. It signifies an increasing demand for playing movies and music on iPhone, iPad and Android while backing up DVDs. Digiarty Software launches Christmas sales by offering WinX DVD Ripper Platinum full version at half price and up to 75% off WinX DVD software gift pack in the run-up to Christmas 2014. The promotions will continue well into Jan. 5, 2015. Digiarty Software today announces the synchronous support for almost all the new copy protections embedded in latest DVDs including Dawn of the Planet of the Apes, The Expendables 3 and Maleficent, through constant updates of WinX DVD Ripper Platinum. WinXDVD Software is confirmed as one of the first developers that pan out converting 8K ultra HD videos. It is giving away 8K-supported WinX HD Video Converter Deluxe, valid until Dec. 4. Digiarty Software gets the jump on many vendors by offering a 75% off WinX Black Friday Gift Pack days early involving almost the entire WinX lineup and featuring DVD backup, video conversion and multimedia playing on Windows OS. It also extends the deadline of the first-stage giveaway for 4 days. Digiarty Software trots out a 100% off coupon of WinX DVD Ripper Platinum as the grand giveaway to greet Black Friday. Being the first round of mega Thanksgiving feast to last until Nov.20, it is yet the last time to offer the sought-after DVD ripper free in 2014, according to the sponsor. Digiarty Software is now launching 2014 Pre-Thanksgiving promotion featuring the top-selling DVD video software for DVD ripping and Video conversion. All PC and Mac users can enjoy the same 75% off holiday price without having to wait until the arrival of Thanksgiving Day and Black Friday. [News] Digiarty Software Announces Countdown of 2014 Halloween Video Audio Gift Pack Promo - Last 7 Days! Upon the arrival of horror night, Digiarty Software keeps up the red-hot 2014 Halloween offer featuring a 75% off 4-in-1 pack. 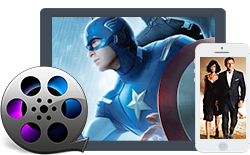 Movie buffs and music fans have equal access to the discount of DVD ripper, HD video converter, DVD cloner and multimedia streamer for the final 7 days, until Nov.4. WinXDVD Software is cheerful to launch the 2014 Halloween coupon giveaway formally that features 1000 free copies of DVD copy software every day. The kid and adult friendly Halloween bounty for personal DVD to DVD/ISO image backup is available online from the 23th of October on as scheduled. Digiarty Software kicks off the 2014 pre-Halloween deals starring a 50% off WinX DVD Ripper Platinum discount, effective from October 17 to 31. Bringing "No Trick, All Treats" to all Windows and Mac users, it helps personal DVD backup and multi-format playback. As the arrival of new iPad Air model draws near, Digiarty Software begins to run a giveaway of WinX DVD to iPad Ripper valid until Oct.31st. This giveaway aims to help play DVD movies on the upcoming iPad Air 2 and other iPad devices. Digiarty Software Inc. today releases the under-the-hood version of WinX HD Video Converter Deluxe (5.5.0) at the significantly doubled conversion speed compared with the former version that also supports Apple iPad Air 2, iPhone 6 (Plus), Samsung Galaxy Note Edge, etc.